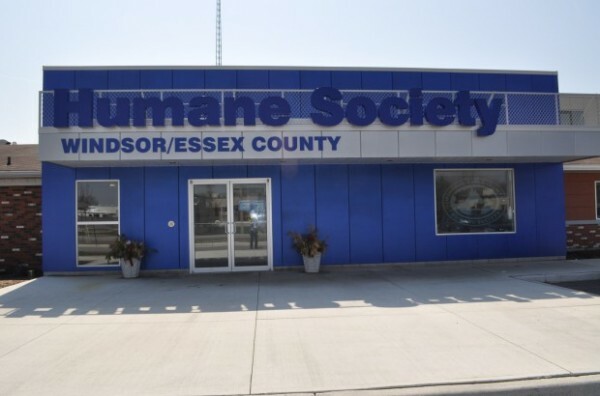 Mealine Coulter Executive Director of the Windsor-Essex County Humane Society says that sometimes the task of getting animals adopted into new homes can be perplexing. Some animals will get adopted within minutes of moving into the adoption centre, while others wait months for their forever home. They say that often though, the reason is obvious – the fluffy orange kitten will find a home much more quickly then the senior tabby, and the Yorkie will spend a much shorter time awaiting her home than the black lab. Sometimes thought, there are animals who get overlooked. At the moment, the Humane Society says they have eight dogs who have been with them more than a month, and eleven cats who have been waiting for a home for more than two months. So, this weekend, as part of the Petsmart Adoption Event they are going to highlight these hidden gems who would love to find their forever homes. As an added incentive, these animals who have been waiting so patiently will come with an extra special adoption package. In addition to the usual great adoption benefits (spay/neuter, microchip, FIV/FeLV or heartworm test, parasite treatments, at least one set of vaccines, post adoption training sessions, and 6 weeks of pet health insurance) these longer-term residents will also come with a free collar and a $25 Petsmart gift card! The special adoption event will be held under the tent at Petsmart on Legacy Drive, or in store at Petsmart Dougall from 11am to 4pm on both Saturday and Sunday. Even if you’re not ready to adopt, stop by the tent at Legacy Drive Petsmart for a chance to win two front row tickets to the Sunday May 13th performance of Legally Blonde.